Wildflower planting next to almonds, Yolo Co, 2017. Have you seen the blaze of super blooms popping up alongside orchards and field crops in our rich agricultural Central Valley? The corridors of poppies, tidy tips, yarrow, baby blue eyes, and redbud planted by farmers, dazzle us with color, but they serve a purpose, too. The flowers provide nectar and pollen for the pollinators, including honey bees, bumble bees and carpenter bees. Look beyond the buzz, and you'll see other beneficial insects, such as lady beetles (ladybugs) and their larvae devouring aphids, and tiny parasitoid wasps preying on stinkbugs and armyworms. They're (unpaid) pest control agents at work. Farmers are taking notice. Knowing that most beneficial insects rely on floral resources to survive and reproduce, they're bordering their field crops with strips of flowering plants. In addition to gaining pollination and pest control services, they're gaining financial benefits. 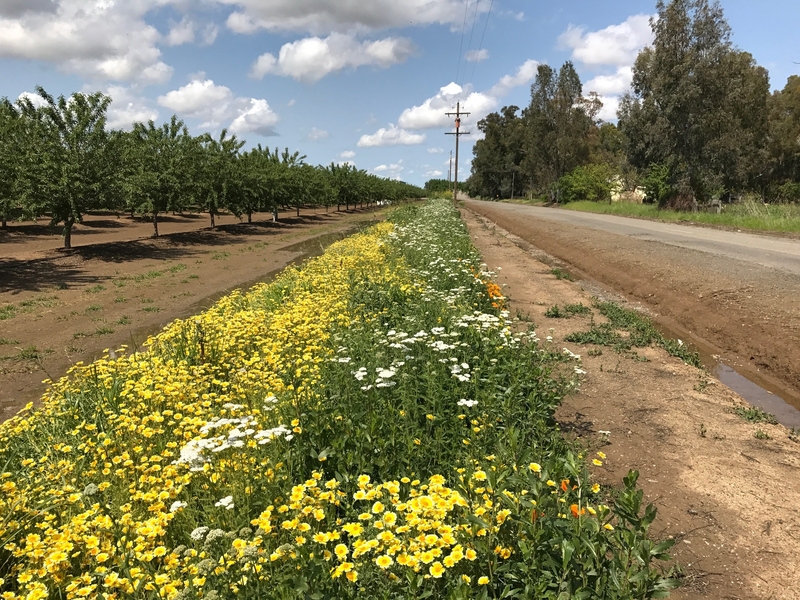 University of California researchers documented that pest control and pollination benefits will help pay the cost of a 1,000-foot-long-flowering hedge planting within 7 to 16 years. Their research, Pest Control and Pollination Cost-Benefit Analysis of Hedgerow Restoration in a Simplified Agricultural Landscape, was published last year in the Journal of Economic Entomology. Other benefits of field edge habitat plantings can include weed exclusion, air quality improvement, erosion reduction, wind protection, shade, and wildlife habitat. What plants are best to attract beneficial insects to farms and gardens? The UC Statewide Integrated Pest Management Program (UC IPM) has just published a list of insectary plants on its website. The list includes native California perennial flowering shrubs and wildflowers suited for field-edge plantings. Are you concerned about rodents and food safety issues from hedgerows plantings? Not to worry. A recent study by UC Agriculture and Natural Resources (UC ANR) researchers found minimal adverse influence on larger agricultural landscapes. A bonus: Migratory songbirds, like goldfinches, often seek out the seeds from the flowering plants in the hedgerows and offer their own display of color. What about weeds? Yes, they can be problematic. Be sure they're well-controlled before planting wildflowers; think soil solarization and herbicides. Another UC ANR-associated study, Determinants of Field Edge Habitat Restoration on Farms in California's Sacramento Valley, published this year in the Journal of Environmental Management, found that landowners and farmers familiar with the benefits were more likely to adopt these small-scale habitat restoration plantings on their farms. 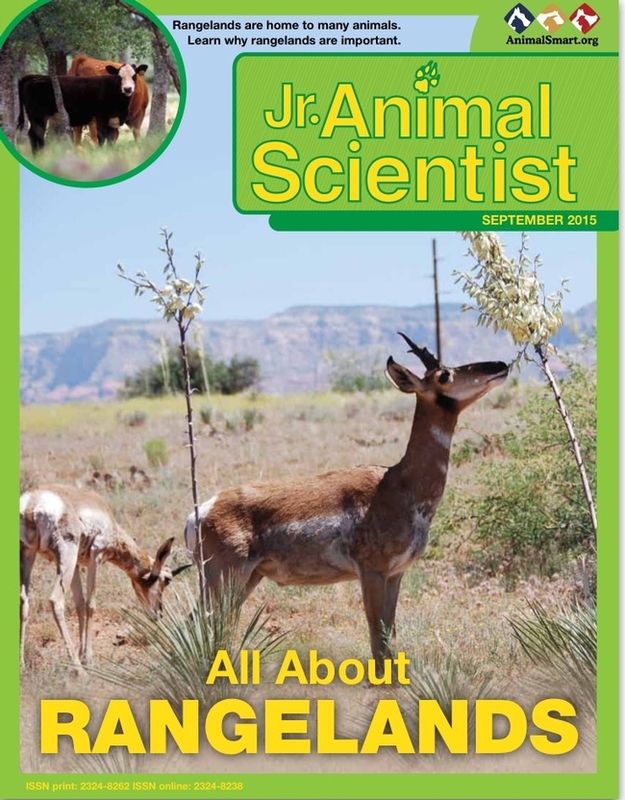 Also important is technical support from agencies such as the USDA, UC Cooperative Extension Service, and the Xerces Society for Invertebrate Conservation, and the sharing of information from farmer-to-farmer and neighbor-to-neighbor. Something else we can all do: Share your photos of field-edge habitat plantings and your observations on social media. They tell an important story and can inspire landowners to diversify farmlands. This will help drive home the point that providing flowers for beneficial insects, including bees and natural enemies, will build resilience in our farming systems. Natural pollination and pest control services help counter the disastrous effects of colony collapse disorder and other honey bee maladies, and pesticide resistance. And it's a counter-punch of color. 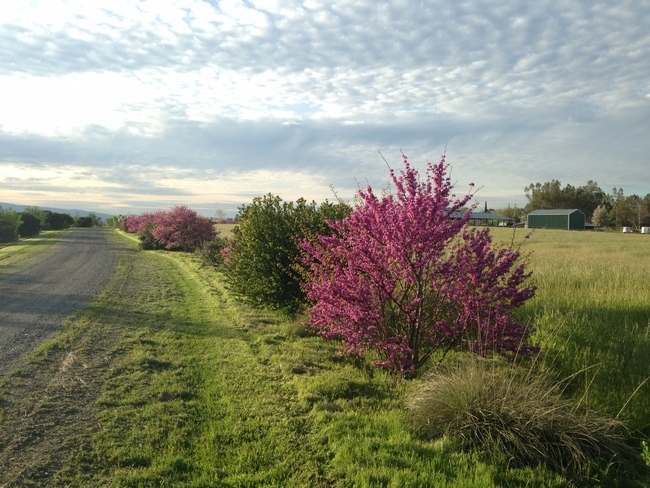 Redbud planting adjacent to a grass hay forage crop, Yolo Co., 2017. Published this spring in Environmental Research Letters, the study focused on the “emerald-triangle” in northern California's Humboldt, Mendocino, and Trinity counties, which many believe is the top cannabis-producing region in the United States. The UC Berkeley-based Butsic and his co-author Jacob Brenner used Google Earth imagery to locate and map grow sites (both greenhouses and outdoor plots) in 60 watersheds. 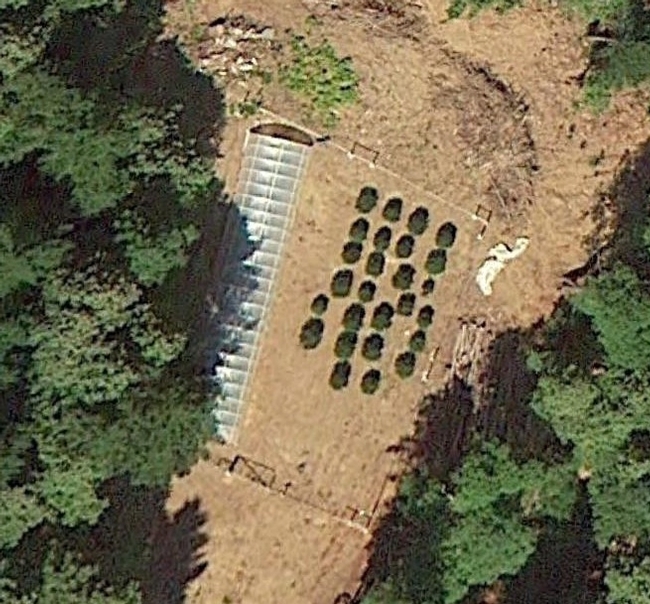 Most cannabis grow sites are very small, and have gone undetected when researchers used automated remote sensing techniques, which are commonly used to detect larger changes such as deforestation. Butsic and Brenner paired their image analysis with data on the spatial characteristics of the sites (slope, distance to rivers, distance to roads) and information on steelhead trout and Chinook salmon, both of which are listed as threatened species under the federal Endangered Species Act. These and other species are vulnerable to the low water flows, soil erosion, and chemical contamination that can result from nearby agriculture. Results of the study show 4,428 grow sites, most of which were located on steep slopes far from developed roads. Because these sites will potentially use significant amounts of water and are near the habitat for threatened species, Butsic and Brenner conclude that there is a high risk of negative ecological consequences. “The overall footprint of the grows is actually quite small [~2 square kiliometers], and the water use is only equivalent to about 100 acres of almonds,” says Butsic, who is in the Department of Environmental Science, Policy, and Management at Berkeley. According to Butsic, California currently has more than one million irrigated acres of almonds. Last year, California legislature passed laws designed to regulate medical marijuana production, and state voters will weigh in on whether to legalize recreational marijuana this coming fall. Given these changes as well as the profitability of cannabis production, Butsic expects that marijuana cultivation will expand into other sites with suitable growing conditions throughout the region. He and Brenner assert that ecological monitoring of these hotspots should be a top priority. Bills recently signed into law by Governor Jerry Brown have made some advances in this direction — requiring municipalities to develop land use ordinances for cannabis production, forcing growers to obtain permits for water diversions, and requiring a system to track cannabis from when it is first planted until it reaches consumers. But the researchers say that regulation will likely be a constant challenge because it will rely on monitoring procedures that are just now emerging, as well as voluntary registration from producers and budget allocation from the state for oversight and enforcement. 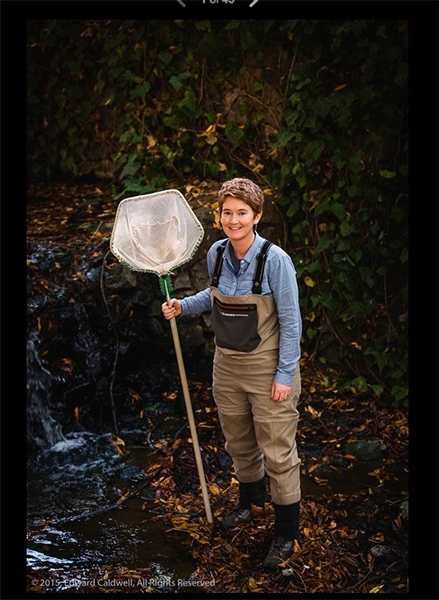 Stephanie Carlson researches native California fish populations in "intermittent streams" in the Sacramento-San Joaquin Delta. Photo: Edward Caldwell. On June 3, 2004, a small trickle of water started to flow through a levee on the Jones Tract, a patch of farmland west of Stockton that sits below sea level. Of California's 27 million acres of irrigated croplands, the tract's 12,000 acres weren't exactly at the forefront of anyone's mind. But within a few hours the rivulet had become a deluge, opening a 350-foot-long gash in the wall that was built to hold back the waters of the Sacramento–San Joaquin Delta. The land quickly became a lake, submerging asparagus fields, corn silos, and dozens of homes beneath 60 million gallons of water. Repairing the break required six months of constant pumping and cost approximately $100 million; farmers throughout the Central Valley, who depend on the delta's 1,100-mile-long network of levees, had a new reason to lose sleep at night. The cause of the initial rupture was a beaver, working to expand its home. California water: Few natural resources are as impressive, or as imperiled. Whether it's supplying 40 million domestic users, cooling the server farms of Silicon Valley, or irrigating the actual farms that supply half of the nation's produce, the importance of the state's aquifers and headwaters cannot be overstated. (Lake Tahoe, Yosemite Falls, and white-water rafting on the Kern and American Rivers feel like an embarrassment of riches.) While the potential for a multi-decade drought has grabbed headlines, however, California's water supply faces assault from a host of lesser-known factors including infrastructure failure, pollution, habitat loss, and plain old political chaos. This issue is strongly interdisciplinary, so it's only natural that UC Berkeley College of Natural Resources professors and students have been at the forefront of analyzing the problems and beginning the search for solutions. Several Berkeley professors have even served on the Delta Independent Science Board (DISB), a group of experts appointed by the state to oversee the quality of scientific research on California's contentious delta water issues. When asked to name the three greatest threats to California's water, Richard Norgaard, Berkeley professor of energy and resources (and the DISB's first chair, who still serves on the board), couldn't be more clear. “Issue number one, one, and one is that a substantial portion of the acreage in agriculture is supported through groundwater overdraft, even in normal-rainfall years,” he says. According to the U.S. Geological Survey, California's cities, factories, and farms soak up about 38 billion gallons every day. And while most people think of water in terms of rivers, lakes, and rain, over a third of the state's supply comes from aquifers deep underground. Only one in six Californians relies on groundwater alone to supply their domestic needs. Given that much of California is a desert — and that decades-long droughts are not impossible — intelligently managing California's limited supply is crucial. Gov. Jerry Brown recently ordered municipalities to cut home water usage by a whopping 25 percent, and California residents gave themselves a well-deserved pat on the back when usage for July 2015 surpassed that target by 6 percent. But there's one problem: Domestic use accounts for only 10 percent of California's total water consumption. Agricultural use, on the other hand, accounts for closer to 40 percent. At first glance, that doesn't seem entirely inappropriate. Fruits, vegetables, and nuts, not to mention Northern California's incomparable wine and cheese — why shouldn't the farmers who feed half of the nation take half of the water that the state has to offer? Nonetheless, Resh recalls being on a delta tour that was packed with people who identified themselves as delta farmers. Nobody is suggesting an outright end to farming in California, but it's becoming increasingly clear that change is coming. One looming problem is the fragility of the levee system. Drive around Sacramento's rural environs and you'll realize that a lot of farmers actually do their work below sea level, with nothing but a hodgepodge system of peat dams and concrete rubble to restrain the brackish delta waters. Overactive beavers, like the one on the Jones Tract, are the least of the problem. 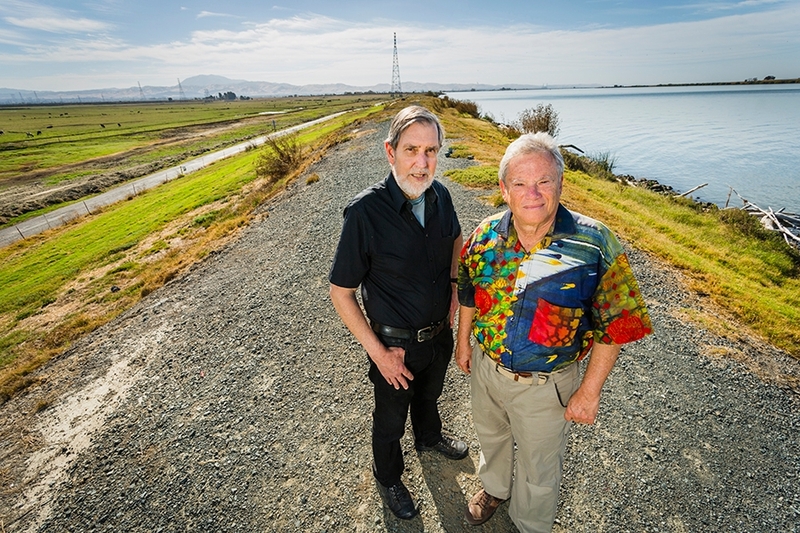 Like everyone else in California, the engineers who watch over the delta's levee system are at the mercy of probability, breathing a sigh of relief every day that goes by without the catastrophic shaking of the Big One. Even an apparent bounty — consecutive years of high rainfall — poses risks. River flows would rise along with reservoir levels, placing added stress on levees so that even a minor structural failure could set off a chain reaction, flooding fields and devastating crops. Inherent in either of these scenarios is the threat to drinking water. The delta houses the State Water Project, two massive pumps that send water to Southern California. If the levees are overtopped, the salt water of the bay will infiltrate the Sacramento and San Joaquin rivers, rendering the supply undrinkable. Of course, farmers and thirsty urbanites aren't the only ones who need water. According to Berkeley Environmental Science, Policy, and Management associate professor Stephanie Carlson, “many of California's native fishes are declining, and the causes are rooted in habitat loss and the introduction of non-native fishes into California's waterways.” She emphasizes that our current multiyear drought may be the “nail in the coffin” for those populations already facing extinction. Carlson's research focuses on understanding where and why fish populations are persisting. She found that several native fish, including commercially harvested salmon, live in “intermittent streams” — waterways that flow continuously in the wintertime but break into isolated pools during periods of low rainfall. As drought or human usage reduces stream flow, water quality deteriorates, resulting in higher temperatures and less oxygen. In pools that dry up completely, all fish die, of course, but some “refuge” pools persist through the summer — and these habitats do support fish. Carlson's team has found that “the survival of imperiled salmon and trout varies among summers, but is highest after wet winters.” Following wet winters, streams flow longer into the summer, more pools persist, and water quality is improved. But, interestingly, “almost regardless of winter rainfall, most fish mortality is concentrated in late summer,” meaning that early, abundant fall rains may be as important as the previous winter's storms. Carlson believes that these findings should guide management. Urban development in the Bay Area is spreading from flatlands to the hills. “We need to focus our conservation efforts in those upper headwater streams — many of which are intermittent,” she says. Carlson also stresses that native fish have adapted to the seasonal shift from flowing streams to standing pools, while non-native fish have not — thus intermittent headwater streams may be important refuges for native fishes. While diverting less water from streams during summer might help juvenile salmon, managing outcomes in the ocean is far more difficult. In 2007 and 2008, the West Coast Chinook salmon population collapsed, with the Sacramento River fall run reduced by 90 percent. Fisheries closed at a cost of millions of dollars, and the federal government declared a disaster. While the crisis was attributed to low ocean productivity beyond human control, human degradation of freshwater salmon habitats worsened the impact of poor ocean conditions. Most salmon-breeding habitats in the Central Valley lie upstream of dams. Today, most Central Valley salmon are born in hatcheries; many circumnavigate the delta in trucks and are released into the San Francisco Bay. Because these fish don't swim through their natal rivers and the delta, they have no way to retrace their paths as adults. So they go everywhere, mingling with the broader gene pool. This “straying” erodes genetic differences among populations and increases the risk of collapse. It's possible that a more vibrant, genetically diverse salmon population could have better resisted the environmental disturbances of the mid-2000s. —Excerpted from an article in the winter 2016 issue of Breakthroughs Magazine. Read the complete article. Sustainability - what does it really mean? Sustainability has become a buzzword. Everywhere you look it's sustainable this, sustainable that. But what does it really mean? What makes something truly sustainable? And what does it mean in terms of food production? April's Global Food Systems Forum invigorated the conversation. The event convened some of agriculture's leading experts to address the plethora of challenges that face our global food systems. The conversation brought forward several hot topics: GMOs, large scale vs. small scale production, nutrition and more. But even with the riveting debate, the question remains: What is sustainability? Is it focusing more on natural ecosystems? Is it being completely self-reliant, or turning only to organics? Is it focusing on a larger multi-national scale? UC ANR has started holding a series of sustainability webinars to continue the conversation and tackle some of these questions. The first webinar took place on Feb. 15, 2013 with Tom Tomich, director of the UC Agricultural Sustainability Institute. The webinar tackled the issue of sustainability: What is it? Is there a sustainability science? What is at stake? The video can be seen on the ASI website. The second webinar, on May 31, 2013 with Neil McRoberts, professor in the Department of Plant Pathology at UC Davis, focused on linking sustainability theory with practice. McRoberts addressed sustainability theory using formal models to plan and track extension outreach efforts, and linking interdisciplinary scientists. Though the webinar is not yet available online, it will be soon on the ASI website. The next webinar is Thursday, June 13, from 10:00 a.m. to 12:00 p.m. 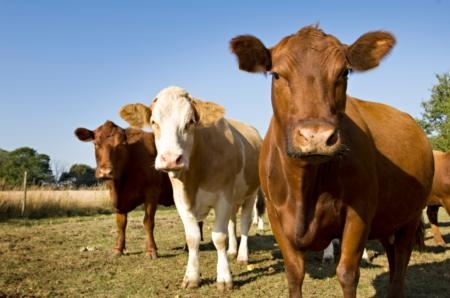 Featuring Ermias Kebreab, professor in the Department of Animal Science at UC Davis, the webinar centers on environmental sustainability of animal agriculture. 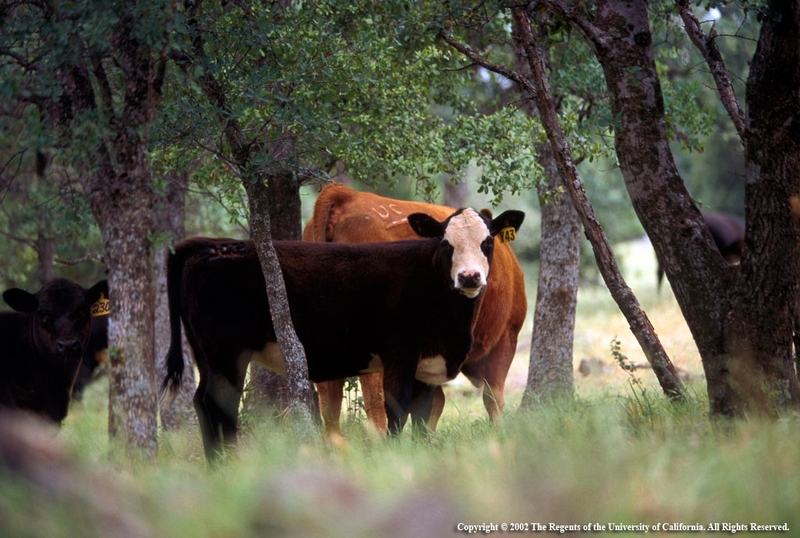 Topics will include: sustainability as a "wicked" problem, water quality and livestock production, and the mitigation of air emissions from livestock operations. The webinar is free and open to the public. More information is available on the Agricultural Sustainability Institute website. Sustainability is a complex issue. These questions about the definition and concept are not going to be answered overnight. But as long as these types of conversations and learning opportunities continue to take place, I'm confident we'll continue adapting and meeting the complex challenges with which we are faced.